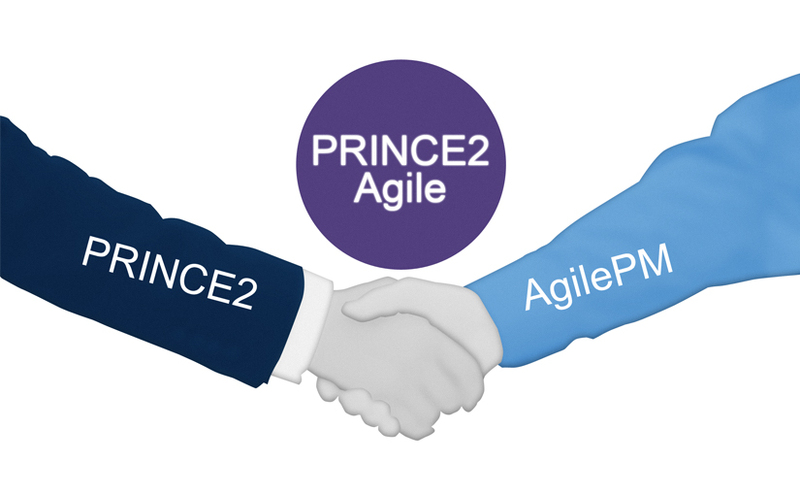 PRINCE2 Agile® is here, but what is it? PRINCE2 Agile is now available as an e-learning and classroom product. There are no formal pre-requisites for the Foundation qualification, but you will need to have either PRINCE2® Foundation or PRINCE2 Agile Foundation to take the PRINCE2 Agile Practitioner qualification. PRINCE2 Agile is designed to meet a rising demand from the management community. The demand: bringing together two different and disparate project management methods. The course requires a PRINCE2 Practitioner-level qualification to study. This is because it is targeted at those with experience of PRINCE2 who want to learn how and why to adapt to AgilePM practices. We hope to be able to provide some insight into that big ‘why’, starting now. There’s a lot of value in both PRINCE2 and AgilePM. They are both implemented and recognised worldwide. Combining them into PRINCE2 Agile might be the exact solution your organisation needs. With our guidance you can learn exactly how Agile governs the project’s delivery while PRINCE2 governs the project as a whole. PRINCE2 Agile projects tend to promote earlier returns on investment through efficient “flow-based” work models. The blending of terminology allows for improved communication across disciplines and teams. The proven processes of PRINCE2, meanwhile, can achieve greater flexibility using AgilePM’s influence. But what is AgilePM, exactly? AgilePM was designed by DSDM Consortium, representing an approach that differs to PRINCE2’s significantly. Part of PRINCE2 Agile’s purpose is to introduce AgilePM converts – so-called “agilistas” – to governance in the style of PRINCE2. Note that word, “agilistas”. Like the Labour Party’s “Corbynistas” dominating recent UK news, “agilistas” have a reputation for cult-like adoration of AgilePM. It is one of the most popular management methods in the western world. It’s close to being a religion to some in the industry. This is in large part because of its revolutionary premise – the things it does different. It’s widely reported that, to many, an agile environment is one of the best to work in. With Agile, “things emerge”. There is little up-front design or specification. The method favours on-the-fly development. There is a focus on collaboration, iteration and continuous review. So much so that the customer actually sits inside the development team. Agile eschews reporting and documentation formalities. Instead it favours more casual communication, such as whiteboard workflows. Teams are empowered to make decisions, requiring no escalation to higher-ups. Agile suits products undergoing frequent development. An example is a website, which can evolve in small increments. It’s not deemed necessary to have a “big release” to work towards. You may be able to see from this list why some die-hard “agilistas” are suspicious of the idea of a ‘Project’ or a ‘Project Manager’. Yet the course we’re discussing attempts to blend these two seemingly opposing methods. Don’t PRINCE2 and AgilePM contradict each other? It can look this way. It seems to be the default opinion of many, and you can see how they arrive at this conclusion. Axelos’s ‘Managing Successful Projects with PRINCE2’ manual is often interpreted to be prescriptive and strict. It’s certainly a more formal approach, which is why many in Agile circles see it as too much of a “command and control” management style. Yet PRINCE2 Practitioners should be aware of a relevant tenet of the PRINCE2 guidance. It’s called “Tailoring”. What this means is: in some ways, the attractive flexibility of Agile is already built into PRINCE2. PRINCE2 explicitly encourages adaptation to specific settings and workflows. Both guidance books also provide readers with background on Agile techniques and behaviours. A benefit of using PRINCE2 Agile’s manual is that it covers certain Agile practices in further depth. These include topics such as Scrum, Kanban, the Agile Manifesto and other fascinating techniques and tools. Ultimately, it’s about what’s best for your organisation. Sometimes you need a tailored solution, even if it appears a bit niche to outsiders. PRINCE2 Agile helps organisations to successfully blend two seemingly opposed but actually complimentary disciplines. The method combines the best of both PRINCE2 and AgilePM worlds. It provides a guide to project success, emphasising collaboration, team empowerment and iterative development. Sound like the perfect fit? Visit our course page and see what we can help you or your business achieve with PRINCE2 Agile.